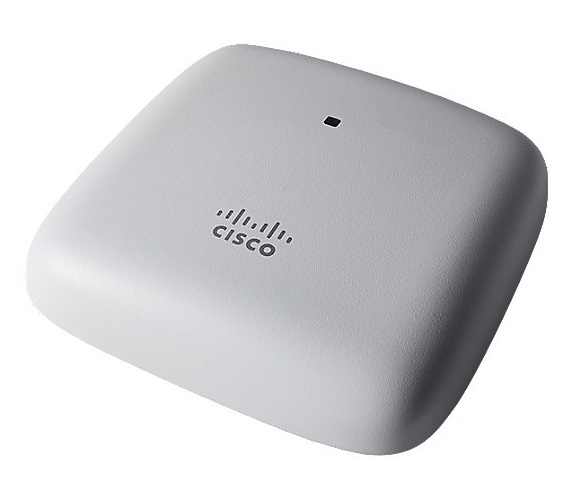 The Cisco Aironet 1815i delivers industry-leading wireless performance with support for the latest Wi-Fi standard, IEEE’s 802.11ac Wave 2. It also meets the growing requirements of wireless networks by delivering a better user experience. • The 1815i access point supports the latest 802.11ac Wave 2 standard for higher performance, greater access, and higher-density networks. With simultaneous dual radios and dual band with 802.11ac Wave 2 MU-MIMO functionality, this access point can handle the increasing number of high-bandwidth devices that will soon become a common part of the network. • The 1815i allows wired access via a single RJ-45 10/100/1000 auto-detection port. It supports full operation modes using PoE 802.3af power. • These sleek access points with a small form factor are designed with flexible mounting options in mind. You can mount them directly on the ceiling or a wall. They are also easy to install.